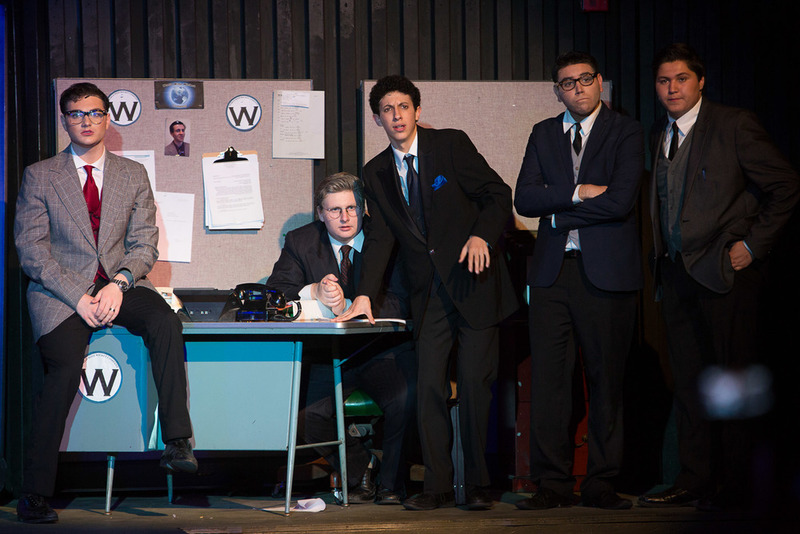 The next offering in the SBHS 2013 - 2014 Theatre Season, following the wildly successful and critically acclaimed productions of Chicago and Music of the Night will be How to Succeed in Business Without Really Trying. The show was directed by Otto Layman (Drowsy Chaperone, Spamalot, God of Carnage, Cabaret and Chicago) and choreographed by long-time collaborator Christina McCarthy (UCSB Professor of Dance, whose shows at SBHS include Spamalot, Cabaret, and Chicago), with Musical Direction by Jon Nathan (UCSB Professor of Music), Vocal Direction by Brent Wilson and Costume Design by Bonnie Thor. Set and Light Design was by Mike Madden (Ensemble Theatre Company) with Technical Direction by David Guy, and the show was Stage Managed by Beau Lettieri. 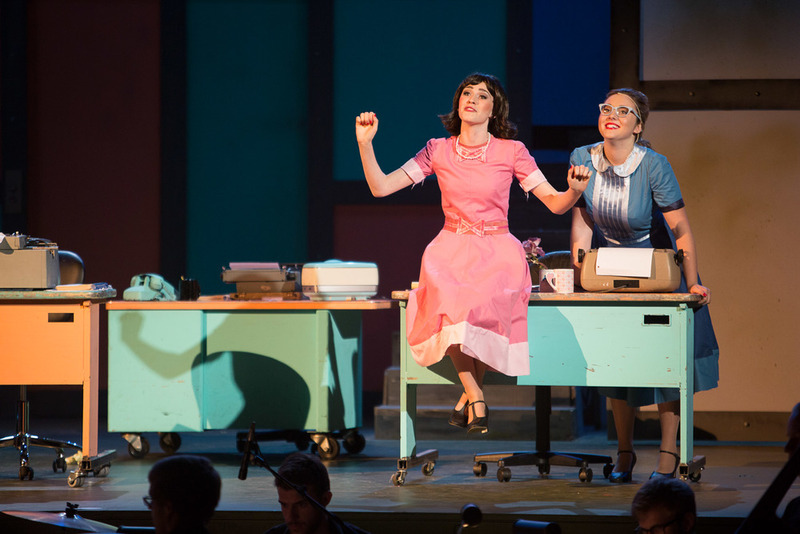 How to Succeed in Business Without Really Trying has a book by Abe Burrows, Jack Weinstock and Willie Gilbert, based on Shepherd Mead’s satirical self-help book of the same name, and music and lyrics by Frank Loesser. How to Succeed in Business Without Really Trying opened to critical acclaim at the 46th Street Theatre (Richard Rodgers) on Broadway in October 1961, running for 1,417 performances. The cast starred Robert Morse as Finch, Bonnie Scott as Rosemary, Charles Nelson Reilly as Bud Frump, and Rudy Vallee as the President of the World-Wide Wicket Company. The show won seven Tony Awards including best musical and best book, the New York Drama Critics Circle Award for best musical, a Grammy for best original cast show album, and is one of only eight musicals to win the Pulitzer Prize for Drama. In 1967, a film based on the musical was released by United Artists, with Morse and Vallee recreating their Broadway roles and Michele Lee as Rosemary. The 1995 Broadway revival stared Matthew Broderick as Finch and Megan Mullally as Rosemary, while the 2012 Revival featured Daniel Radcliffe (Harry Potter) as Finch in his Broadway musical debut. 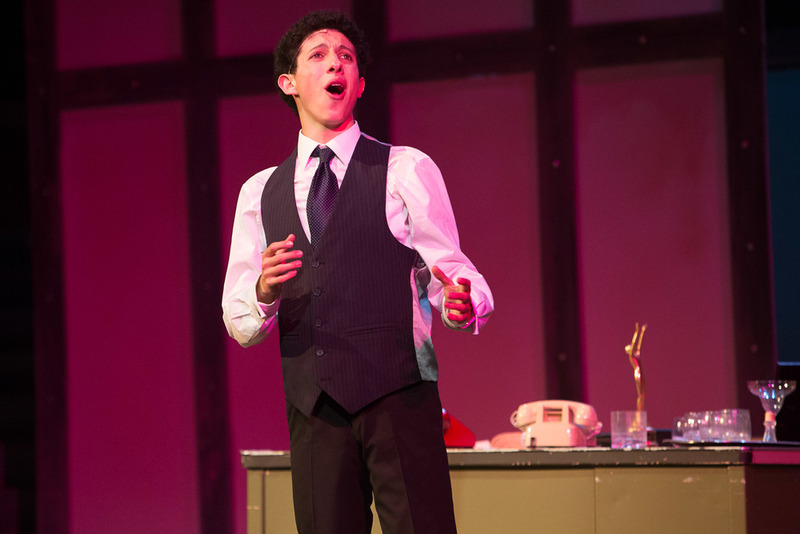 J. Pierrepont Finch was played by Aaron Linker, J.B. Biggley by Nick Blondell, Bud Frump by Grant Bower, Rosemary Pilkington by Ciara Tolliver, and Hedy LaRue by Camille Umoff. The rest of the cast featured Drew Janssen, Andrew Gutierrez, Rio Salazar, Sable Layman, Brenna Gerlach, Irving Soto, David Zevallos, Blake Devine, Bradley Devine, Alessio Morello, Dolan Ingraham, Colton Ingraham, Hailey Turner, Grace Perry, Hailey Simmons, Quique Hernandez-Black, Fabrice Tay, Dante Gonzalez, Miranda Valdez, Serafina Crannell, William Blondell, Barron Mainz, Irving Soto, Alessio Morello, Hannah Robinson and Mae Pendergast. How to Succeed in Business Without Really Trying played May 1, 2, 8, 9, and 10 at 7pm, and Sunday, May 11 at 2pm for a Special Mother’s Day Closing Ceremony Honoring Graduate Theatre Students and, of course, mothers at the Santa Barbara High School Theatre, 700 E. Anapamu St., Santa Barbara, CA 93103.